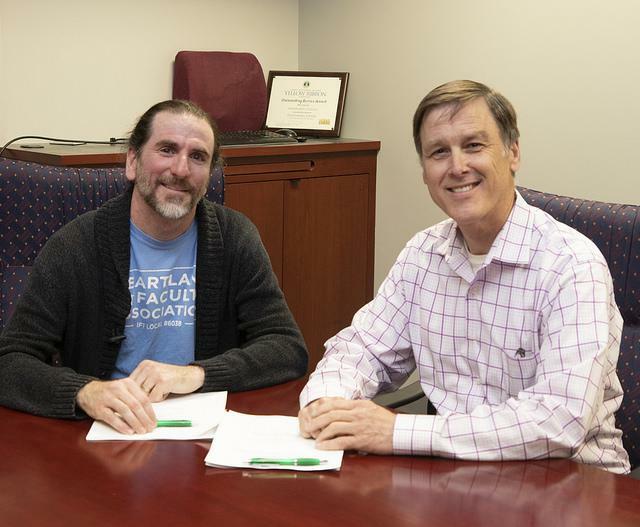 Faculty Association Lead Sean Colcleasure and Board Chair Gregg Chadwick sign the new three-year agreement. The first year will see a $1,500 increase in pay for full time faculty members followed by 2.5 percent increases in each of the following two years. Increasing overload teaching rates by $25 per hour. Allowing new dads to use sick time for paternity leave. Union bargainer Sean Colcleasure said interest-based bargaining helped negotiations. “Both sides came together in good faith, built a solid foundation and worked together to get a contract all parties benefit from, with minimal disagreements,” said Colcleasure. The two sides had been negotiating since November. Faculty voted Tuesday and Wednesday. The Heartland Board of Trustees has also approved the deal. 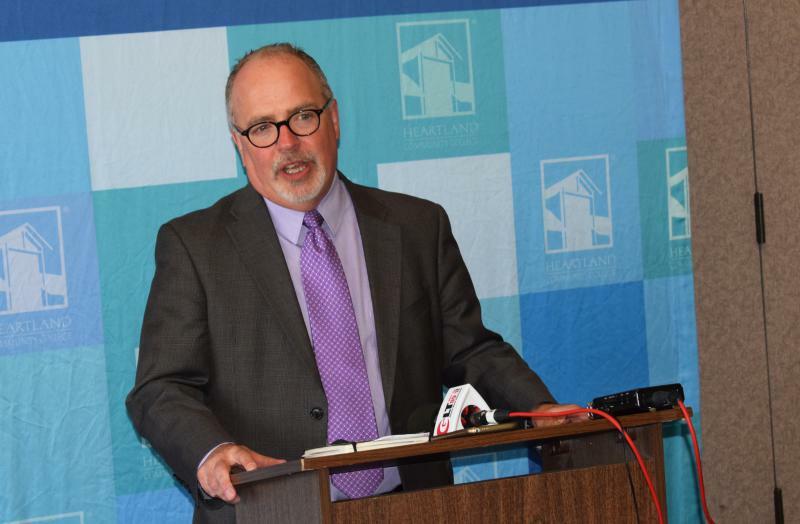 Incoming Heartland Community Community President Keith Cornille on Tuesday signaled an optimistic view of state funding for higher education, even as he suggested a need for “more creative” local partnerships. 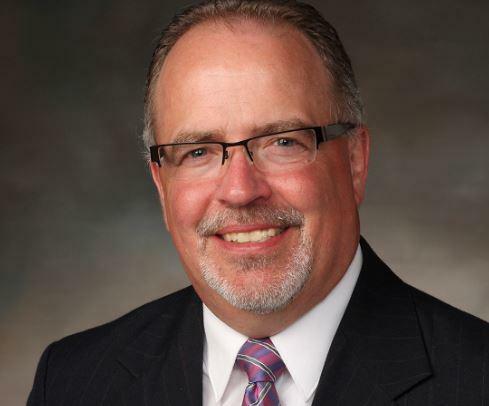 The new Heartland Community College president will be Keith Cornille. 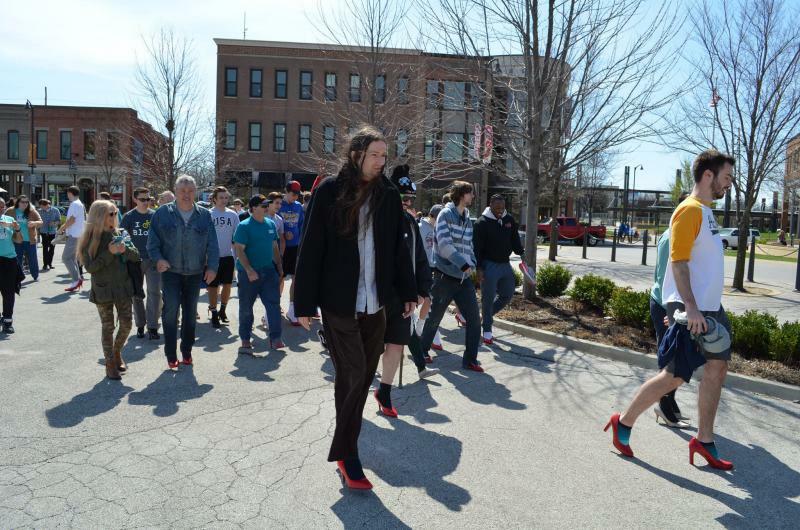 April is Sexual Assault Awareness Month and Heartland Community College’s Council on Family Relations is holding its second annual Walk a Mile in Her Shoes to encourage discussion on the issue.